Feeling good, but somewhat dissatisfied with how it looks. I wanted products that could see distant objects. This review is about item#41001353. It is a pity that the installation of the main body and the mirror is distressed, and the color is matted. This review is about item#41001344. Although it should be a new article, the mirror surface was a bit dirty and I am disappointed with a pretty deep wound. The feeling of wide right and left is a little short. 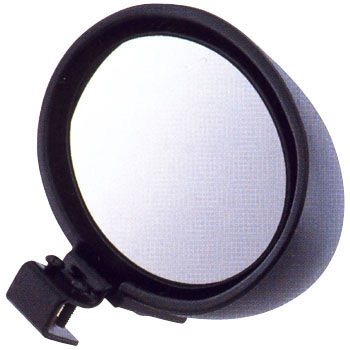 Although it is designed to fix with two screws, it is regrettable that the fixing mirror will be scratched. I could not use it.